Oregon’s Willamette Valley wine region started out in the 80s with very few wineries located in the quiet hills. Now the wine industry in the Willamette Valley has exploded into more than 500 wineries, making some of the world’s best pinot noir. The Willamette Valley is located just a few miles south of Portland and extends through many small towns that offer the perfect wine country experience. Get ready to taste some really good Pinot Noirs, because that’s what the Willamette Valley wine area does best. If you’re a pinot noir fan, you can’t miss the opportunity to taste wine in this beautiful region. You may not have known that Oregon was a premier destination for Pinot Noir, especially if you’re not very familiar with new world wines. The cool and temperate growing conditions of the Willamette Valley create the perfect environment for Pinot Noir grapes, and Oregon has been capitalizing on its prime location for many years. The Willamette valley is home to more than 500 wineries and stretches north to south for 100 miles, encapsulating dozens of small towns along the coastal mountain range. Being such a large area, this wine region is really fun to explore. There are pockets of Willamette wineries in at least 10 different towns where you can stay and explore without having the same experience twice. ★ Plan ahead. Book your Willamette Valley wine tour here. Newberg and Dundee are our go-to towns for a convenient and fun wine tasting experience. All along 99W, you will find dozens of wineries to choose from. When you see the signs pointing in every direction, however, you may quickly become overwhelmed. I clearly remember my first trip to the area. We didn’t know which wineries were best, or which ones would offer the best tasting experience, so we just picked at random. You can surely do that, and have a fantastic time, but to help you out, here are two itineraries that will take you to some of the best wineries in the Willamette Valley for Oregon Pinot Noir. Each is an easy route with not too much driving in between the wineries. Just remember to be responsible with driving if you’re going to that visit this many wineries in a day. Share a tasting and be prepared to spit instead of sip. Or hire a driver for the day. As we’ve already mentioned, there are dozens of wineries in Dundee that you can stop at and have a taste. You could easily spend a week in Dundee doing nothing but wine tasting. The best part is that there are a lot of tasting rooms in town, so you can actually park your car and just wander around on foot, which is always a good idea when there’s wine tasting involved. At this point in the tour, we like to stop at Red Hills Market for a sandwich to refuel before heading out again. Just outside of town are some great wineries with views like Sokol Blosser, Archery Summit Winery and De Ponte, which are all fantastic wineries to visit. is the next town you’ll come upon while driving down Highway 99 and is the next best area for wine tasting in Willamette Valley. In the downtown area, the place to be is on NE 3rd Street, where there are dozens of tasting rooms, restaurants and wine bars to walk to. You’ll find Willamette Valley Vineyards, Eola Hills and Terra Vina Wines. Another area we like a lot is near the town of Forest Grove. You’ll find Plum Hill Vineyards, A Blooming Hill Vineyards, David Hill Winery and a sake producer, SakeOne. If you’re flying in, the nearest International airport is in Portland. From there, you’ll need to rent a car and drive east toward Hillsboro or south toward Newberg to begin your wine journey. The vast majority of wineries are located in and around the towns of Dundee and Newberg. If you’re driving, it’s about a 3.5 hour drive from Seattle and about a 9 hour drive from San Francisco. Many people enjoy the drive along the Pacific Coast Highway that passes through some really stunning scenery along the coast. The best place to stay will depend on which sub-region of the area you’ll be exploring. As I mentioned, we like to take 99W through Newberg and Dundee, so Newberg is a great place to base ourselves from. On the high end is the Allison Inn & Spa, which is the area’s top spa resort in Newberg. There’s also a typical Best Western in Newberg. The Black Walnut Inn in Dundee is a small, comfortable Inn surrounded by vineyards, in the moderate price range. Another popular area for wineries is Hillsboro and Forest Grove off Route 8 heading East. In Forest Grove you’ll find McMenamin’s Grand Lodge. In Hillsboro, The Orenco is a comfortable and convenient place to stay, and for the budget-conscious, there’s a Holiday Inn Express, too. In McMinnville, you’ll feel right at home at the 3rd Street Flats. Each room is decorated exquisitely with a different theme and below the apartments you’ll find dozens of cute shops, wineries, restaurants and cafes to keep you busy. 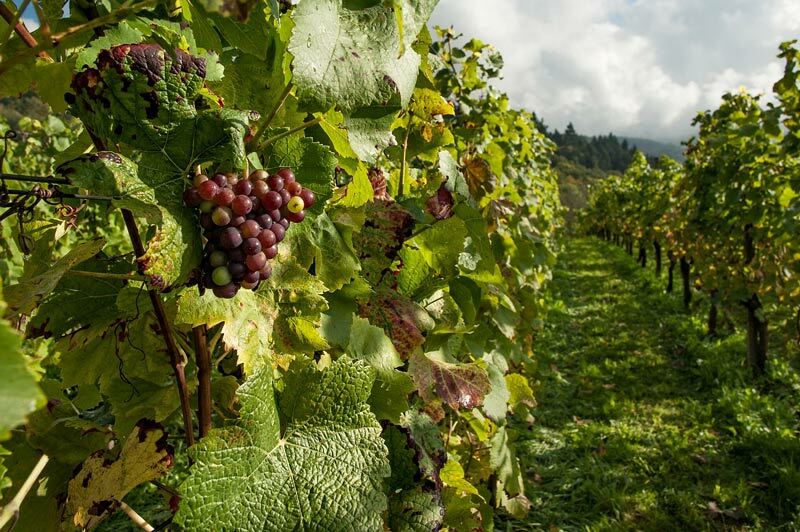 Have you already been to the Willamette Valley wine region? What are your favorite Willamette valley wineries? Tell us about your experience there in the comments. Like this post? Why not save it on Pinterest! 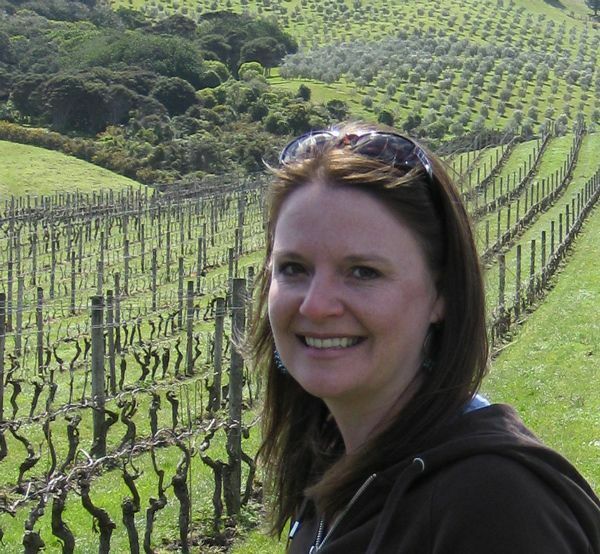 This entry was posted in Discover Wine and tagged Oregon. I visited Portland a few years back and found particularly good Pinot Noir. It wasn’t sold on the open market but to members and by order online. I can’t remembered the name tho. What I do remember they take care of Great Danes. I’m wondering if you can help with the place I’d like to revisit.